Minecraft is a block building game that was released in 2011 by its creator, a Swedish programmer Named Markus Persson, or otherwise known as Notch. This game was released on the PC and XBox, but was later released for mobile devices. This game has no purpose and no end. You have only your imagination as the limit. You build using blocks, and everything is made from something (except raw materials), but can be made into anything. Your character’s name is Steve, and the world you spawn into when joining, is called Minecraft. Your job is to build. You can build, create and destroy using the many items you gain. You can have pets, ride horses, blow things up, have firework shows, build ANYTHING. All you need is some basic resources and an imagination. However, monsters roam the world at night. They can kill you, or destroy structures. But they drop resources like gunpowder, and string you may need to build. This game is amazing, because it shows how powerful the imagination is. This game is rated E for 10 and up, due to small cartoon violence. 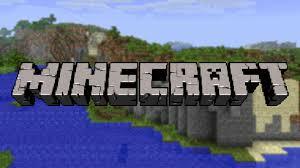 Minecraft was owned by Mojang, but was purchased by Microsoft and it’s constantly being improved with many new updates. I suggest everyone play. It’s amazing, fun, and never gets boring. It’s multiplayer so you can play with others as well. It’s now out for PC, X Box 360, X Box one, PS, and any mobile device. Get this game and build until your heart is content, because this game is the game to play this spring.